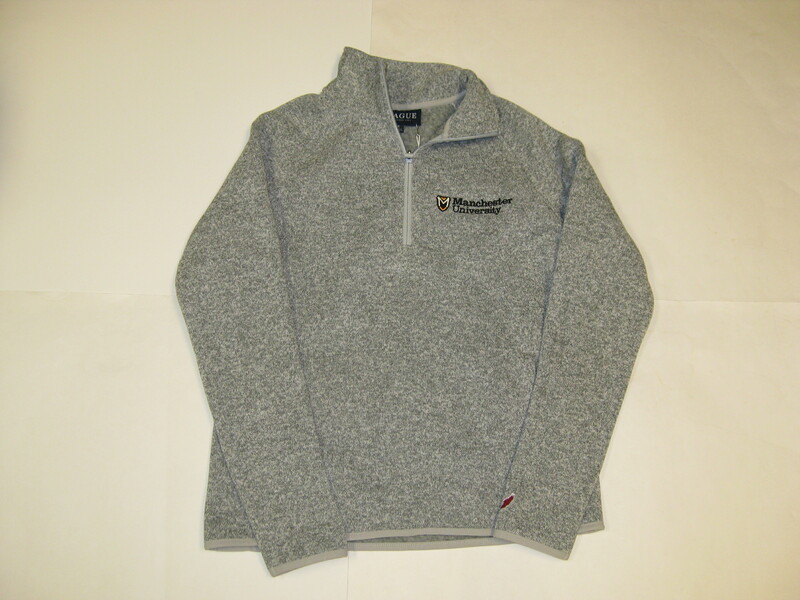 Womens fit well made sweater-knit polyester quarter zip fleece. Also finished off with heather yarns. Has our Manchester University logo embroidered on upper left chest.